Hi friends and happy Monday! I hope you had a great weekend! Linsey here sharing a fun project that is easy enough for kids to make with assistance (since the oven is involved) and it will be sure to brighten up any space, too! 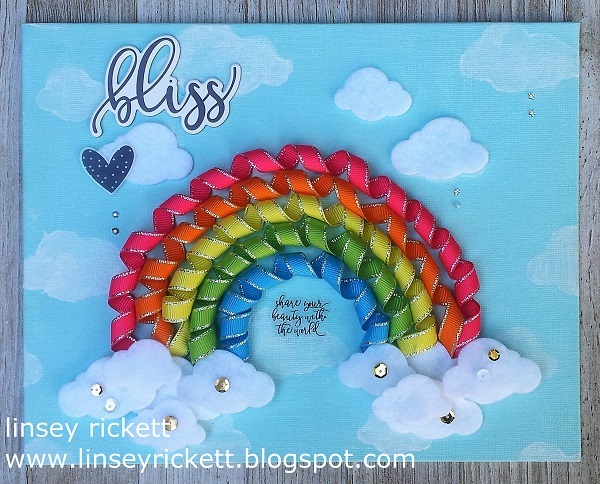 All you need is ribbon--grosgrain works super well--and a few other supplies/tools and you're ready to make some rainbow ribbon art! 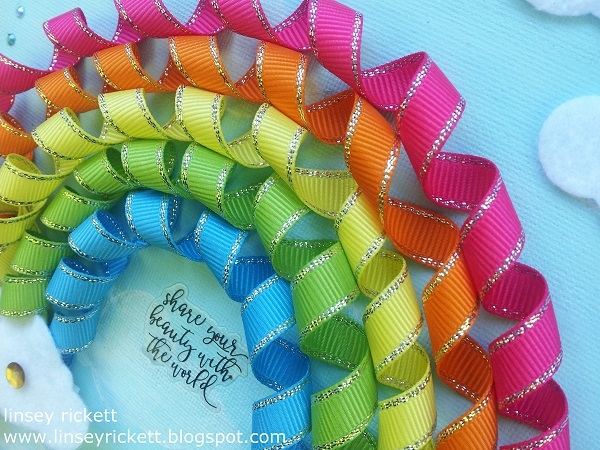 For my rainbow, I used the Bright Colors Grosgrain with Silver Metallic Edges Assortment, which I curled using this easy technique. After painting the background of an 8x10 canvas board, each layer of curled ribbon was arranged in a rainbow pattern. I used mini glue dots to hold my ribbon in place. The clouds were cut from white felt and arranged in more layers to create the illusion of puffiness. 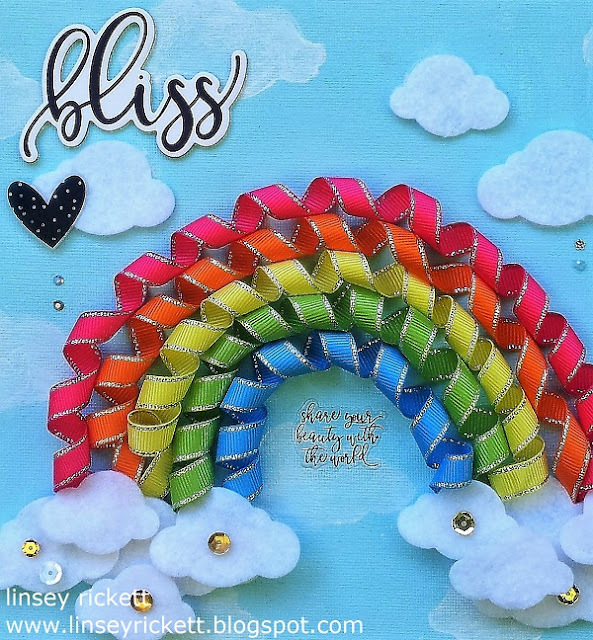 A few sequins were added to the clouds on either side of the rainbow and a few mini sequins were added for a raindrop effect. The sentiment sticker, heart and chipboard piece finish the piece and now I have a pretty little work of art to give away or keep for myself. I hope you like it and are inspired to try something with curled ribbon too! It's super fun! Thanks so much for stopping by today! Until next time, happy crafting! This is so very creative Linsey. Love it! !